Your immediate response may be “my life is great, cruising along nicely thank you”, but is it a true ‘life’ or as the words above suggest, is it some sort of fallacy? Are you happy? Are you being true to yourself? 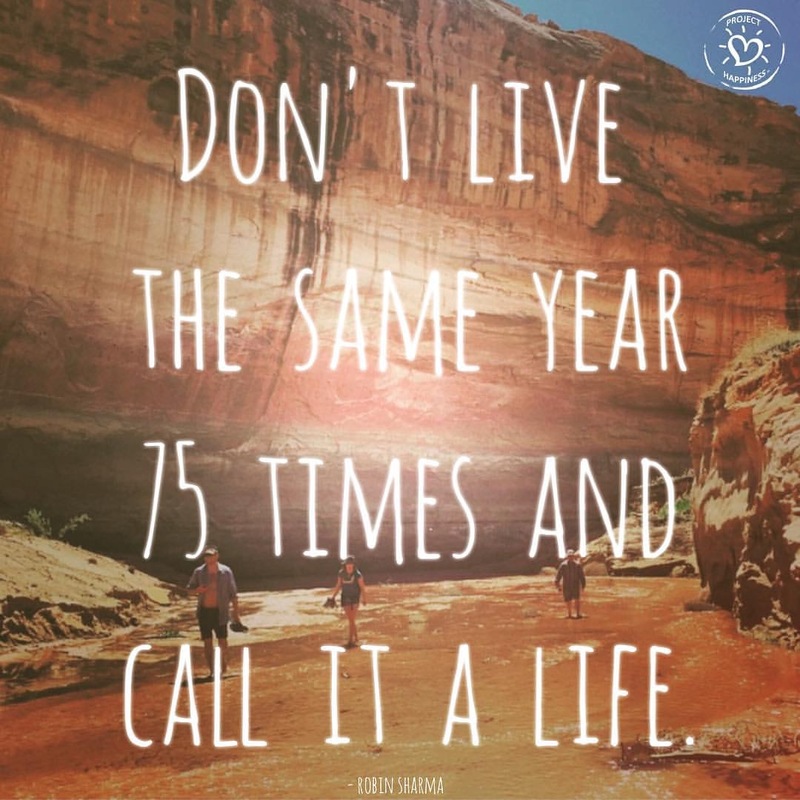 Are you repeating each year over and over or is each and every subsequent year different? When you view your most recent years, do they fill the lense of your mind or do you need to enlarge the aperture? Do you feel you are expanding and growing through your experiences? Are you broadening your mind? Or do you see yourself marking time, repeating the same days over and over? Your life is yours to choose, yes; following your heart’s desire is an honesty available to us all, sadly though, many turn a blind eye to the amazing possibilities of their lives and stick with ‘safe’. It is when we choose the ‘safe’ that we tend to live a ‘groundhog day’, repeating the same day over and over, year after year. Are you content with this? Ceasing the repetitive cycle does not need to be a sudden major upheaval to your life or to those close to you. Small steps will still set you along your way. Read or research something that sparks your interest. Take a class in an activity that you’ve wanted to try. Make an appointment to experience a modality you’ve only heard about such as kinesiology, reiki or Bowen therapy. Invite a friend to explore something new with you: yoga, a dance class, hiking, fishing, meditation, and encourage or share your opinions with each other. Join a book club or a group where others share your goals and interests and will support you. Trying something new will expand your mind, introduce you to interesting people, alter your outlook, vision or goals, and as a result, you will discover your life changing and enhancing. Take care of you and don’t live the same year 75 times and call it a life.